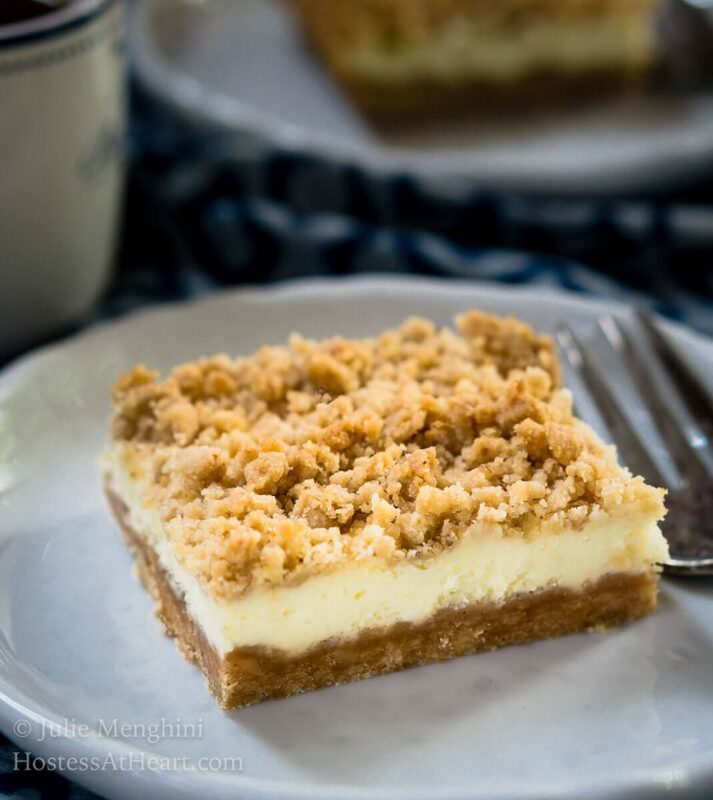 These Cheesecake Cookie Bars are So Good! They’re quick and easy to make and taste like a fancy cheesecake without all of the fuss. I don’t mind making a fussy dessert when I”m in the mood or have the time. 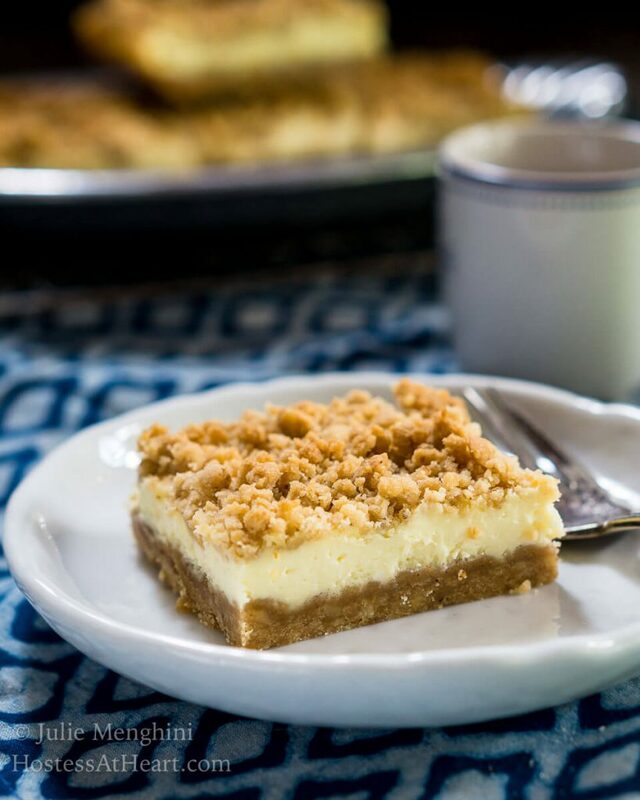 Most of the time I want something that tastes like a fussy dessert that isn’t time-consuming like these So Good Cheesecake Cookie Bars. Being a food blogger I’m always on the lookout for new recipes to try and share. 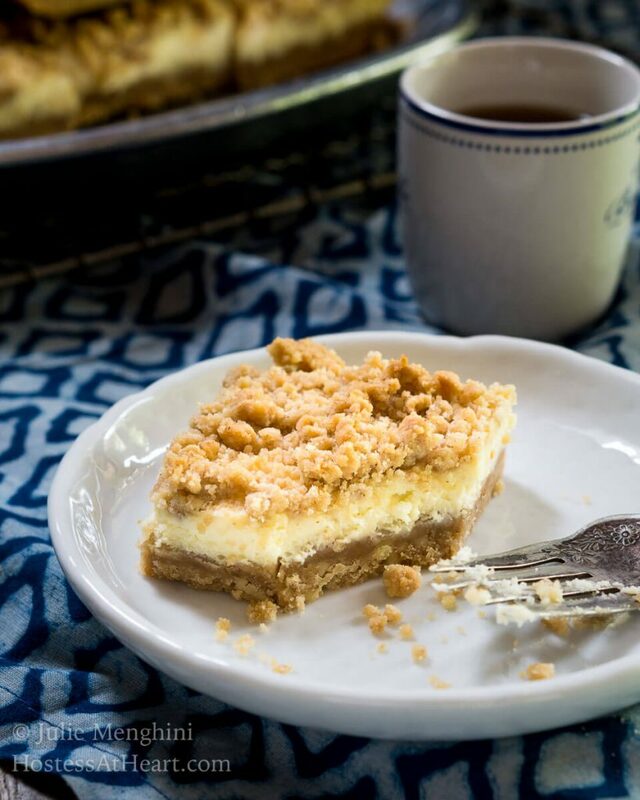 I’ve found a few of my recipes in the recipe box my 91-year-old mother-in-law gave me a few years ago including this So Good Cheesecake Cookie Bars. Not long ago one morning I was home by myself and in the mood to bake. I don’t mind making time-consuming recipes when I’m in the mood and have time but most of the time I want to make something that only tastes like it was fussy and time-consuming. I have a list of recipes that I want to try and this one was one of them. The recipe was actually listed as Cheesecake Cookies which sounded pretty incredible. Who doesn’t love cookies! 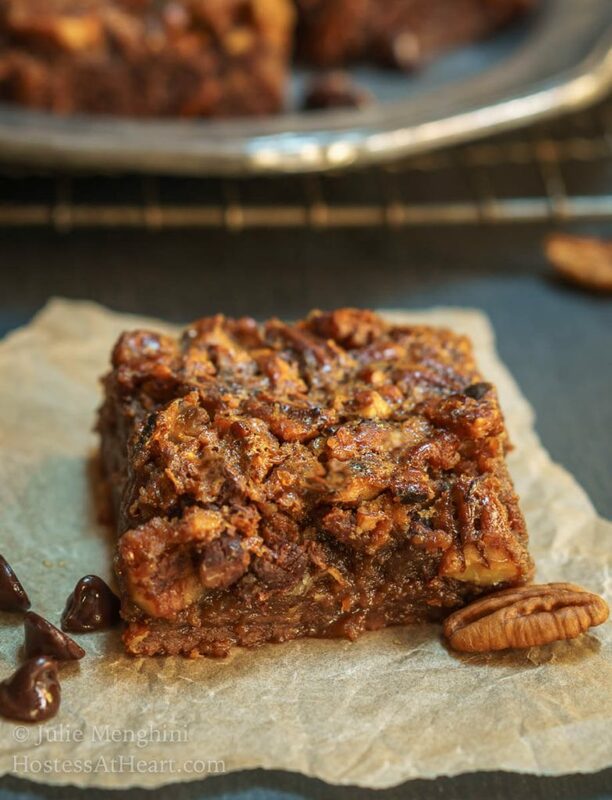 As I read through the recipe it soon became evident that this recipe wasn’t for cookies at all but for cookie bars. That’s o.k. too. That way I can pick the size of my cookie! 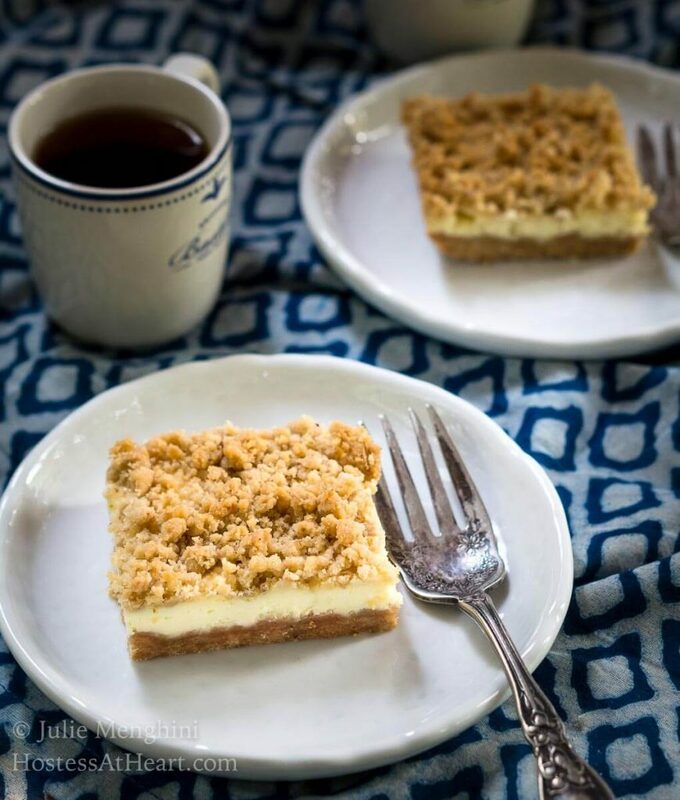 These Cheesecake Cookie Bars are So Good. They're quick and easy to make and taste like a fancy cheesecake without all of the fuss. Cream butter with brown sugar in a small mixing bowl. Add walnuts and flour; mix to make a crumb mixture. Reserve 2 cups for topping. Press the remaining mixture into the bottom of a 9x13 pan. Bake for 12-15 minutes until lightly browned. Blend sugar with cream cheese in a mixing bowl until smooth. Add egg, milk, lemon juice and vanilla extract. Beat well. Spread over baked crust. Sprinkle reserved crumb mixture over cream cheese layer. Bake for 25 minutes. Cool before cutting. Store covered in the refrigerator. Another good thing was that this recipe makes a full 9×13 pan. That’s a great size for me to take to family gatherings and the holidays. Some say this size of the pan makes 24 servings. I’m in charge of the knife I say! Here are a couple more bar recipes that are always a hit. Julie, these look fantastic (as do the other bars you link to in this post). If I get a chance to bake something before Christmas, I know where I’ll be looking for inspiration. Hi James so happy that you’ve stopped by! Hope all is going well in your world. Did you ever manage to make it across the vast lands of Nebraska? I hope you have a wonderful Christmas! I am so sorry I never got back to you about that. The original plan was to drive across the country, but then we ended up flying instead. Things are going pretty well – it’s been a crazy few months, but things are getting back to normal. I’ll have a post up in the next month or so on my blog, and you’ll see how insane things have been for me. Really want to get back in the kitchen more soon, though. Anyways, Merry Christmas to you, too! I’ll be looking for that post and catching up James! Thank you! I’m with you – I like making fancy stuff but so rarely have the time or motivation to actually do it. 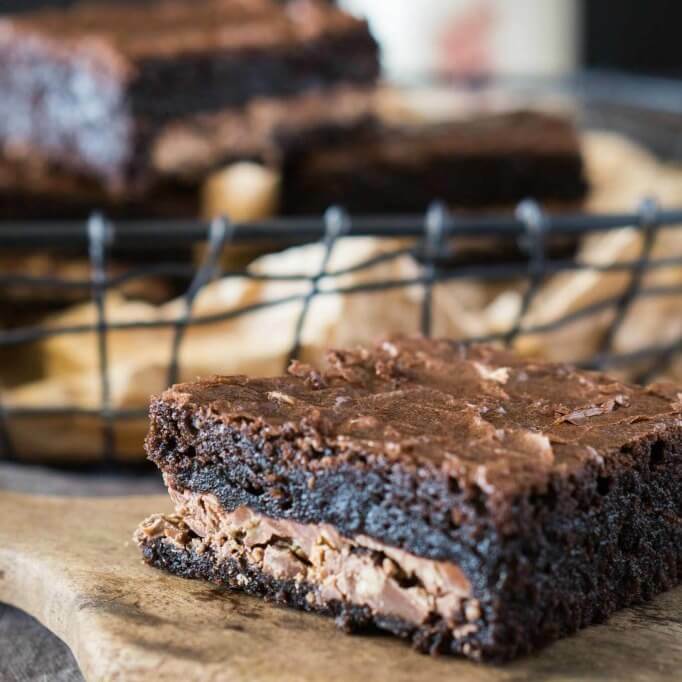 So quick, delicious desserts are right up my alley! These look fantastic! These look soul-rousing and absolutely delightful. Bookmarked! Thank you! They really are good and easy to make! Such a great idea! That topping looks superb!! Thank you so much, Betty! We really enjoyed this one and it was easy to make too! Could go for a half a sheet cake of this right now. Love the short ingredient list and looks like it could easily be converted to a low carb sugar dessert as well. Recipes handed down from family are the best! Thank you so much! They are so easy and I had to put them on my danger list! Finally get to this delicious looking treat Julie. Love all the layers, I can only imagine what this must taste like. It wouldnt last at my house for more than a day. Thank you, Loretta! I really enjoyed these bars. They were so easy to make and ship off to Johns office so I didn’t devour the entire pan all by myself! Me too! I rarely “pull out all the stops” with my desserts, but I do want them to taste like I did. 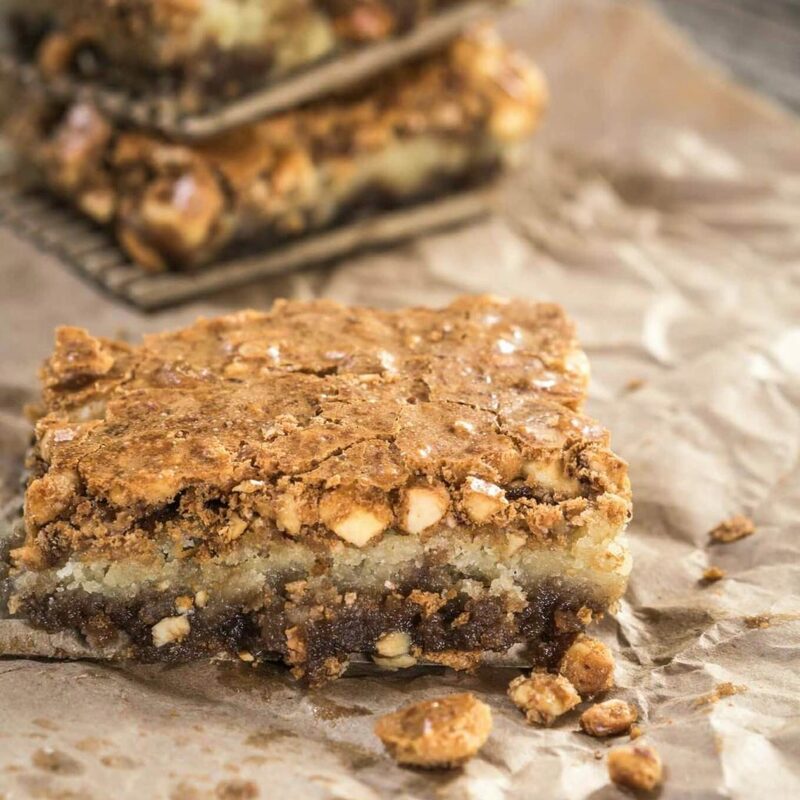 These Cheesecake Cookie Bars Look like they’re worth the calories! I love that you have these delicious family recipes to share with all of us. These look delicious! Thank you, Debbie! I love these easy peesy recipes too! We’re so on the same page. 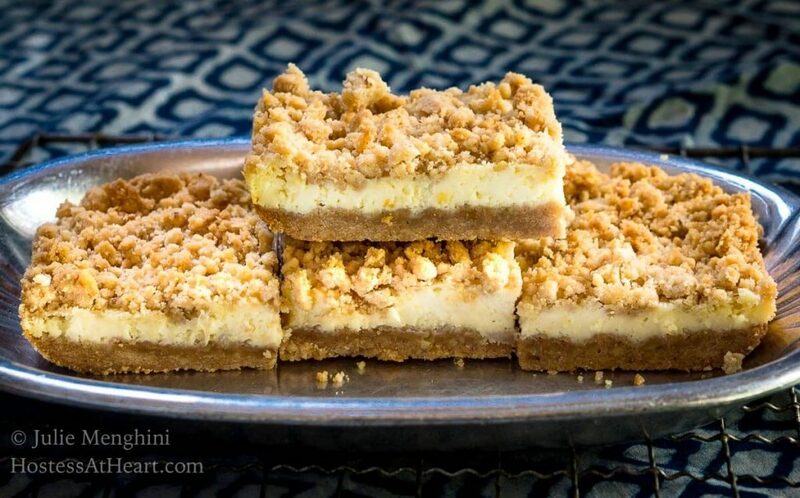 I’ve had cheesecake bars on the brain lately and I haven’t found a recipe that calls to me. These are calling my name though! YUM! Thank you, Kelsie! I love having a quick and easy cheesecake recipe!